We have many reasons to be thankful. 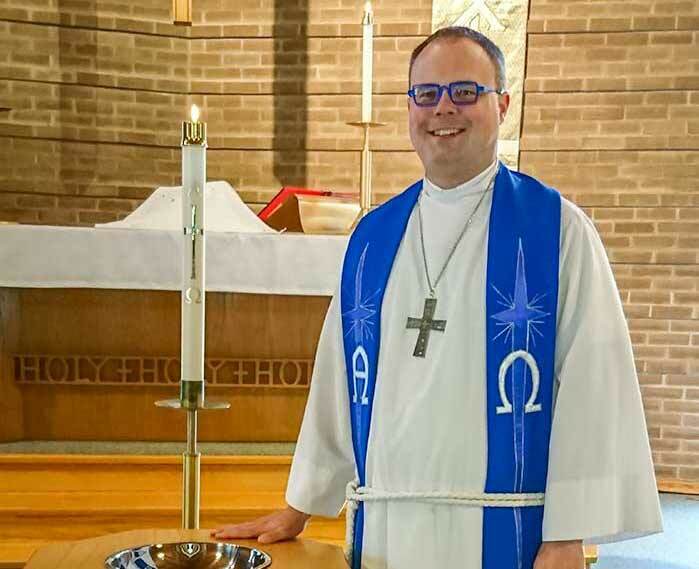 God has blessed Grace Lutheran Church in Oakville for many years. In the short time that I have been serving as your pastor, I can count many ways that the God has blessed the congregation. What comes to my mind are the many members who serve as assisting ministers, prepare the altar, read the lessons, serve as ushers, assist with property matters, coordinate social events, work on outreach to the community, serve on committees/teams and council, and support the congregation through financial giving. Now, as a pastor, I have really come to appreciate the deep theological significance of that simple banner. God communicates to us, redeems us, and guarantees us eternal life in Jesus through covenants. 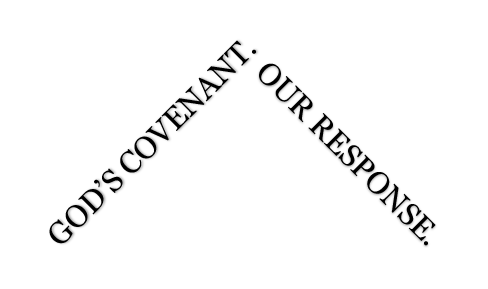 A covenant is a promise, and God does not break promises. In baptism, and again later when we affirmed our baptism during confirmation, we made a covenant with God. However, due to our sinfulness, we have broken that covenant many times. However, God still keeps his covenant even though we continually break ours. This is nothing other than pure grace. Since God continues to relate to us in such a gracious way, we respond to God through faith. There was a reason why the stewardship committee of my home congregation decided to place these banners on the roof support beams. If either beam were removed, the roof would collapse. If God’s covenant or our response ceased to exist, the church would collapse. In the church, we know that God remains true to his covenant, and will always honour the promises that he made. However, God’s people do not always respond as Jesus taught us. This jeopardizes the strength of the church. Jesus continues to call us to respond. At Grace, that one beam is weakening. We need to reevaluate our faithful responses to God’s faithfulness to us. We have a need for more lay leadership in the congregation; there are many ministries, missions, and operations that could use a few more people to help with the work of the church. Do you have the time and talents to assist with one of our missions? We also know that the cost of living continues to rise, our property is aging and in need of repairs, and that we need financial resources so that we can continue to minister and begin new ways of ministering to the people of our community. Are you able to return a greater proportion of the treasures that God has blessed you with? Lastly, we miss seeing many of you in worship on a regular basis. Through Word and Sacrament, God comes to be with us. God speaks to us through the Word and we are nourished by the sacraments. Worship strengthens our faith so that we can respond. I began by reflecting on how God has blessed us. Blessings are meant to be shared. I look forward to the many ways that we will become a blessing to others.